The constellation of genes that need to be in working order to enable the immune system to kill off cancers has been described by scientists in the US. The work opens the door on tests that may predict the most effective therapies for an individual, as well as revealing ways to optimise existing treatments and develop novel anti-cancer approaches. NIH scientist Nicholas Restifo and his colleagues used the gene editing technique CRISPR-Cas9 to knock out each of the genes in the human genome from cultured melanoma cancer cells. The modified cells were then incubated with a class of immune "T" cells whose role it is to patrol the body looking for rogue cells including those infected by viruses, or those at risk of becoming malignant. What the team were looking for were the gene knock out combinations that disabled the ability of the T cells to recognise and eliminate the cancer cells. "We found about 100 genes that are critical to the process," says Restifo. "This includes components of the MHC - major histocompatability complex - that immune cells use to inspect target cells." The researchers hypothesised that cancers lacking these markers would fail to interact correctly with the immune response, allowing them to escape being killed. "Cancers don't engage willingly in the conversation with the lymphocyte that would lead to them dying, so they are not removed," Restifo explains. Armed with their constellation of 100 presumed to be "critical" genes, the researchers compared genetic data from 11,000 patients with a range of different cancers and saw strong overlaps in the genes mutated in these patients with their magic 100. "Then we looked at data from 200 patients who had undergone immunotherapy," says Restifo, "and we were particularly interested in the patients who failed the therapy. 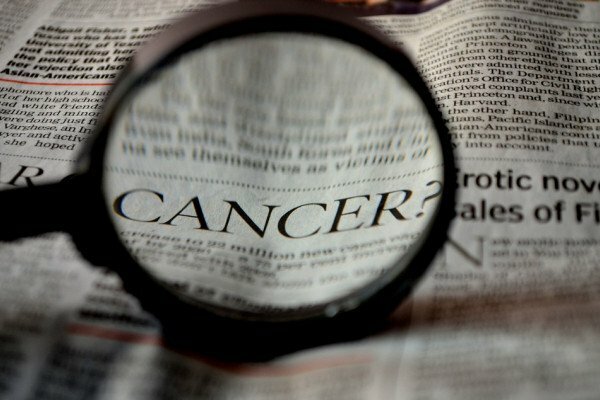 In them, their cancers lacked these critical genes, supporting our idea that these genes need to be working for the immune system to be able to control a cancer." The study, which is published this week in Nature, is a major milestone. "Our data provides us with a potential prognostic test," says Restifo. "We can tell which patients may benefit the most from which therapies, or whether a switch in therapy is needed. Most importantly, it shows us new avenues that can be explored to make more of these treatments work more of the time..."
Next Will faecal transplants and tea cure flu?